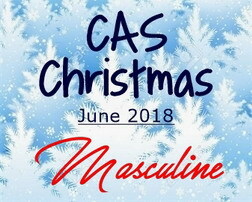 June CAS Christmas Challenge is still happening! Christine has been our hostess this month. The theme is Masculine Christmas cards. You have until June 24th to play along with us! Did you get a photo of Santa in sunny California? Sure looks like it! LOL, Nance this is perfect and fun! Love Santa with his sun shades on! 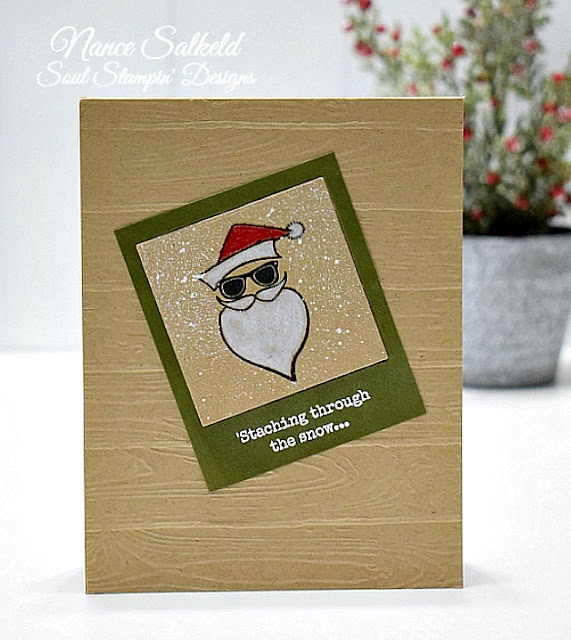 Your card made me smile - love the cool Santa in his sunglasses and that humourous sentiment! Perfect wood background for the masculine theme.